It can be hard to think straight when you are in the middle of a dental emergency, but making the right moves will help to ensure you receive the smile-saving treatment you need. 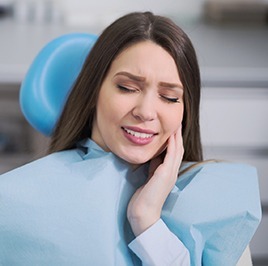 If you are experiencing a toothache, broken tooth, broken filling, or anything else that just doesn’t feel quite right, don’t hesitate to get in touch with your emergency dentist in Jacksonville. Keep reading to find out more about the prompt care we provide for patients in an urgent situation. So now that you have an emergency dentist, when should you actually call them? You don’t want to rush to the dental office if it isn’t serious, of course. A dental emergency is a situation where a person has severely injured their teeth and gums, and they require immediate medical attention. The key indicator for most of these situations is pain. If you or a loved one is in an extreme amount of dental pain, you need to act fast to get the relief you need. For all of the situations listed above, the very first thing you should do is call the Dental Center of Jacksonville. We’ll make an appointment to see you as soon as possible (even the same day) and our highly-skilled team will walk you through basic first-aid. Emergency situations can be extremely stressful, but our team will be able to calm you down and help you get the treatment you need as fast as you can. Try to find your lost tooth/crown/filling. Try to put it back into your mouth. If you can’t, place it in a safe container. In the case of a tooth, make sure this container is filled with milk or saltwater. It’s essential to keep the tooth wet until we see you. Gently rinse your mouth with warm water to clean the injured area. Use a towel or rag to stop any bleeding. Apply a cold compress to manage pain and swelling. Have someone else drive you to our office if you can. Don’t worry about trying to remember all of this, our team will be there to guide you once you call in. When you arrive at our office, we’ll bring you straight to the back so our team can start treating you immediately. Most of the time, emergency dental procedures can be completed in just one visit, but if not, we’ll be sure to take away your pain and schedule any necessary follow-up visits. When you’re at your most vulnerable during a dental emergency, know that we’re ready to help. We’ll do everything we can to get you the treatment you need quickly. The next time you or one of your loved ones hurts themselves, make sure to call us first. You’ll be glad you did. If you’d like to know more about what to do in a dental emergency, how to avoid one, or want to schedule an appointment, simply contact our office today. 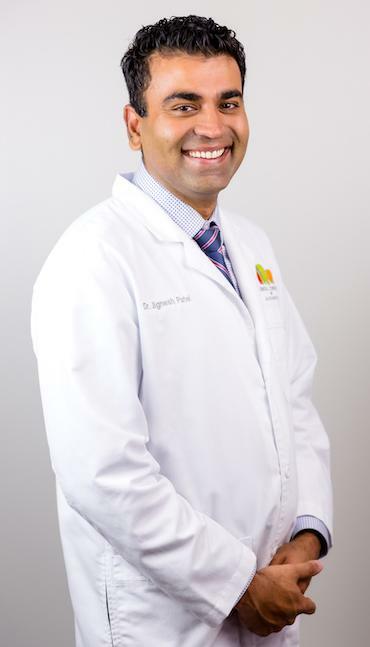 Dr. Jignesh Patel is a graduate of the Nova Southeastern University School of Dental Medicine, and he always strives to put his patient’s needs first. He understands that many people are nervous about going to the dentist, and this is especially true in emergency situations. With every patient, he uses his combination of training and kindness to provide them top-tier dentistry in a warm and relaxing environment. When you need dental care the most, he’s the exact type of doctor you want to see. The comfort of our patients is always a top priority, and it’s especially important during a dental emergency. That’s why our team makes sure our office is always up to date and filled with state-of-the-art equipment. Using these tools, we’ll be able to treat you faster, safer, and with less discomfort. These small hand-held cameras enable our team to get a better look at your teeth and gums. We can even show you what we’re seeing because the images can be displayed on a chairside monitor. With this, you’ll always know what is going on with your dental care. X-rays are an essential part of diagnosing problems, and during a dental emergency, you definitely don’t want to wait for them to be developed. Thanks to digital x-rays, images can be created much faster while also exposing our patients to 80% less radiation. Anesthetic is often vital for treating emergency cases, but many people are afraid of the pain they’ll feel during the initial injection. Thanks to DentalVibe, that is completely taken care of. This device gently vibrates the surrounding tissue of the affected area so that the patient will feel nothing at all. What’s the best pain medication to take for a dental emergency? If you are bleeding as a result of the injury, it’s best to take a medication that will thin your blood which could prevent the formation of a clot. Instead, stick with Tylenol -- it’s a safe alternative that you can take at any time. How can I reduce swelling? Many dental injuries will result in minor to major swelling, but you can prevent this inflammation by applying an ice pack to the affected area in 10 to 15 minute intervals. Wrap a bag of ice or frozen peas in a cloth and apply to the cheek for 10 -15 minutes before removing for the same amount of time. Repeat every few hours on the first day of the injury. When you call your emergency dentist in Jacksonville with a dental emergency, we will first ask your questions to get an idea of the severity of your situation. Then we will schedule an appointment as soon as is necessary to save the tooth and help you hold onto your healthy, complete smile. If that’s on the same day, then we’ll make sure we can get you in within a few hours! 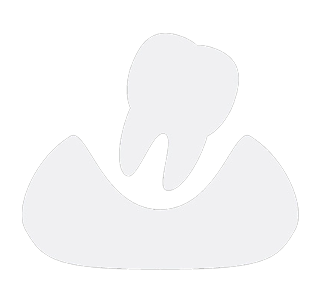 What should I do for a knocked out tooth? 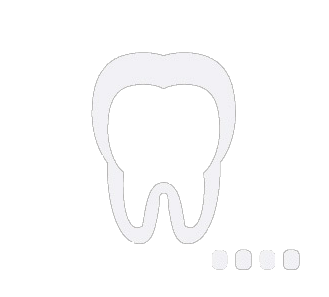 A knocked out tooth requires immediate attention from your emergency dentist in Jacksonville. After two hours have passed, the chances that we will be able to successfully reattach the tooth are slim. Immediately after the injury occurs, find the missing tooth and rinse away any debris under warm water. Be sure not to scrub or touch the tooth’s root. Place a clean gauze to the injured area to stop bleeding, and call our office right away. Store the tooth in a cup of milk or water until you can make it in. Should I go to the emergency room instead? Most of the time your dentist is better-equipped to provide emergency treatment for knocked out teeth, broken restorations, toothaches, and other emergencies. However, if you suspect you have broken a bone in your jaw or if you are bleeding profusely for more than 10 minutes, do not delay in seeking urgent medical care. What’s the best way to prevent dental emergencies? While there is no way to guarantee that you will never experience a dental emergency, you can help to prevent their occurrence by taking a few precautionary steps. If you play contact sports, make sure to protect your smile with a customized sports guard. Visit the dentist every six months for a checkup and cleaning to ensure we can catch small areas of decay before they become significant problems. Also, try to break bad habits like nail biting, pen chewing, and eating ice, which can take a significant toll on your teeth. Where is the Emergency Dentist Near Me? We’re located just a few miles west of I-95 and we’re right off of Philips Hwy. We’re right next to Allstate Insurance, First Federal Bank of Florida Mortgage Office, and Perry-McCall Construction.